The official Wessex training days for 2013 are being finalised by Paul Kalra. In the meantime, please note the following, and arrange for clinical cover and clinics to be cancelled as appropriate for the SpRs taking over from your post. As always, the themed speciality training days are open to all. The "Shape of Training Review" is the next potential big reorganisation of specialty training. Some of the changes under consideration would make this potentially even bigger than MMC. 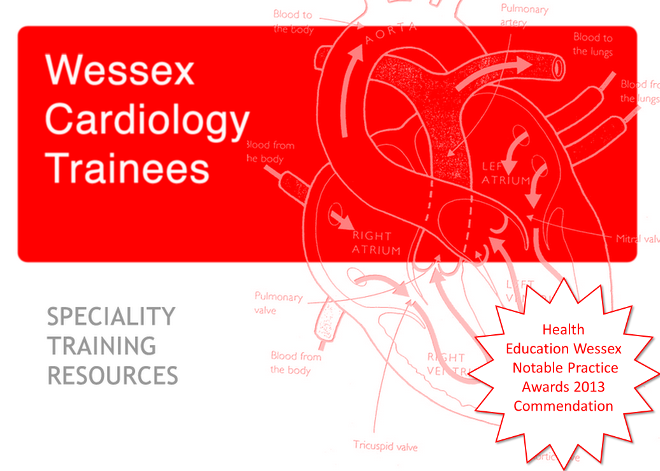 It is essential that we try to stay fully engaged with the process to ensure our views as cardiology trainees are fully considered in any new training infrastructure. Afzal Sohaib, BJCA secretary, is collecting input from trainees in order to coordinate a formal response from the BJCA. There is a "call for evidence" process underway on www.shapeoftraining.co.uk. Sohaib has put together a summary document outlining the key points that will affect us. If you can have a look and email me with any thoughts, I will feedback a summary of responses.